Bringing ideas to life. Together. Reach a broader audience: go digital. We can convert your manuscript into iBook, ePUB, and Kindle books. Converting a Word doc or InDesign file to an eBook is a lengthy process with a thousand fiddly details. We spend the time necessary to make sure every aspect of your book's layout is translated into the digital medium to present as beautifully as possible. 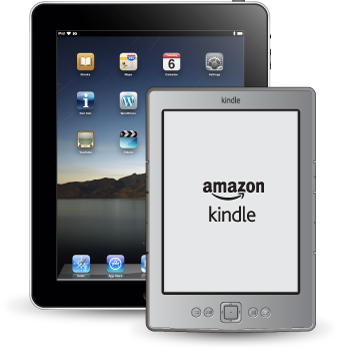 We are able to create eBooks in Kindle format for sale through Amazon.com, and in ePUB format for sale through other channels such as Apple's iBookstore. We have the experience to make sure your book meets each channel's technical requirements.